DESCRIPTION: Located in the heart of Nolita, where the Bowery meets Spring. Two bedroo, two bath apartment with lovely, sunny West views. The kitchen features stainless steel appliances, granite counters and Shaker style maple cabinetry. The baths are finished with marble floors, walls and vanity. Full service building with 24 hour attended lobby, live in superintendent, laundry facility and individual storage. 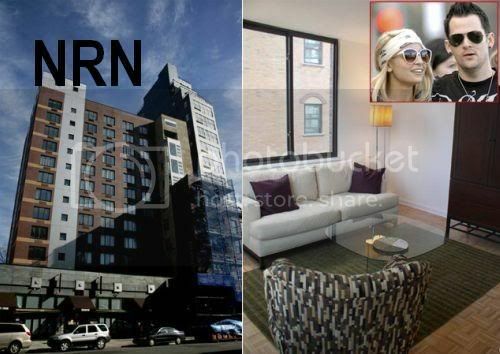 I think they will only use this condo part time whilst they are out in NYC but if the rumours of Nicole Richie joining the chicago musical cast are true she may no longer be an LA socialite for much longer.